What are current and historic mortgage interest rates? I get asked on a regular basis about where are mortgage interest rates at today, where were they last week or last year… and the best one, what do I think they will do tomorrow. Of course I have no crystal ball for future rates, but there are many different indicators we look at that gives us a good idea where they may be going. As you can imagine, there are many things that can throw a monkey wrench into the estimates and predictions. Interest rates post Trump election have surprised just about everyone. It’s been a long time since anyone lender was quoting conventional conforming 30-yr fixed mortgage rates at 4% or higher for their best customers, but as of yesterday, every mortgage lender is doing so. What a difference a week makes, last Monday, the day before the election, rates averaged 3.625%. Over the past 3 days business day (Friday the markets were closed for Veterans Day), rates have moved higher and faster than the last big 3-day move back in 1987, where rates moved higher more quickly on an outright basis. If you were on the fence for a refinance. You just lost, and should seriously consider locking now if it even remotely still makes sense. If you were in the market to buy a house, rates are still great, and there is no reason not to buy a home. But consider the average $230,000 home here in Minnesota will cost you $50 more per month at a 4.00% rate versus a 3.625% rate. Why have mortgage interest rates gone up? There are a lot of factors, but the biggest is simply the markets are feeling good about the direction of the country with the Donald Trump election. This has sparked the stock market, which has seen very nice gains. When stocks are good, mortgage rates are bad. When stocks are bad, mortgage rates are good. The Twin Cities real estate market continues to defy the traditional assumptions of supply and demand as year-on-year home prices rise while supply also increases. One reason for this is that so-called distressed properties, short sales and foreclosures, continue to disappear from a market they once dominated. These properties — where the mortgage balance due exceeds the home’s value — artificially depressed home prices. Now, it’s the resurgence of so-called traditional sales that is inflating prices. St. Paul and Minneapolis Realtors’ associations reported recently that the local median sales price rose 7.2 percent, year-on-year, to $209,000 in October. Inventory rose 4.3 percent. The median was$205,000 in September. The local trade associations also noted a decline in deal activity, with pending sales down 1.3 percent from last year. This also can result in higher inventory. New listings decreased 2.3 percent. Traditional new listings rose 6.7 percent, while foreclosure and short-sale new listings were down 42.4 and 31.3 percent, respectively. Months’ supply of inventory was up 10.8 percent to 4.1 months. Days on market is down 4 percent to 72 days. Both associations counted the developments as a positive, citing greater inventory for buyers, with better prices for traditional home sellers, super low Minnesota mortgage rates, and plenty of loan programs for first time home buyers. According to recent surveys from the Mortgage Bankers Association, refinance applications are down 55% from recent highs. The latest survey shows the smallest amount of refinance activity in years, yet refinances still account for 63 percent of all mortgage applications. Clearly the uptick in interest rates from the lows we say back in May 2013 are having an effect on activity. As mortgage rates move higher, refinancing makes less sense for more and more people. Current best execution on 30-year fixed mortgage rates is running +/- 4.50%, which is about 1% higher than the recent lows. From a historical perspective, interest rates are still fantastic, and surveys show there are still millions of people who could benefit be refinancing to today’s current interest rates. There is also a huge mental aspect to refinancing. When people “hear” rates have gone up, many don’t even both to check with their local mortgage professional to run numbers. But interest rates are only one aspect of refinancing. Getting a short term, like a 15-year mortgage, can easily save many people well in excess of $100,000 or more. That is nothing to ignore. For others, refinancing back to a new 30-year fixed mortgage could save them hundreds of dollars a month. Finally, many people still are under the belief that that can not refinance because of underwriting rules, or because their home has lost value. But programs like HARP 2, the Home Affordable refinance Program for underwater home are working well for millions of people. My advice is to never assume. Call your local licensed mortgage professional for a quick review. You may be surprised at what you hear! Minneapolis, MN: This isn’t easy to say, but understand… rates are NOT going back down to where they were last month. Today’s mortgage rates for the best customers at about 4.625%, but range up to above 5%, based on lender, credit score, program, down payment, etc.. Our quoted rates today are 1/2% higher than just last Monday. 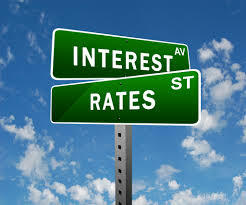 Volatility is the name of the game, as we have seen rates jump by as much as .25% in interest rate in a single day. What we quote in the morning may be long gone by the afternoon. With the drastic and dramatic jump we’ve seen since May 3rd, consumers may have thrown the brakes on for looking at houses, or refinancing – waiting for rates to come back down. It is important that you a work closely with your favorite Mortgage Loan Officer to understand rates, what they are, why they move, and if you should lock in a rate. While I don’t know for sure, I believe the 4.50% – 4.75% range is our new floor of support for a little while. We may see a slight uptick, and we may also see a minor drop as the market players settle into the new reality, but the 30-year fixed rate loan in the 3’s is now just a memory. Minneapolis, MN: Mortgage rates continue to creep higher, as the Fed has announced a plan to scale back their buying of mortgage backed securities. What is causing rates to rise? The Mortgage-backed-securities (MBS) market is what dictates loan pricing. Simply put, the government has been artificially holding down rates by buying billions of dollars worth of mortgage backed securities. The ideal is simply to stimulate the economy and job growth with cheap money. As the economy and job markets improve, the FED has said it would start to taper, then completely end their purchasing of mortgage bonds. Without the FED buying bonds, fear has taken over. Fear is never in the markets favor, as one can clearly see in the run up of mortgage rates. As many of you know, we are currently in round three of the Fed buying bonds. At the end of round one, when the Fed backed off of buying bonds, rates started moving higher, and quickly. At that time, the Fed quickly jumped back in to settle things down. We don’t see that happening this time around. As a matter of fact, the Fed has clearly noted that rising interest rates is something they want. The past two month, we have good from best execution 30-year fixed rates about 3.50%, to today, best execution 30-year fixed rates about 4.25%. That is the highest we’ve seen since late 2011. This is also the sharpest rise in rates in 10-years. If you are even remotely thinking of refinancing, you’d better do it now. If you are thinking of buying a house in the very near term, you should do it now. If you are thinking of buying somewhere down the line, you are likely to see higher mortgage rates… But nothing that should ever stop anyone from buying a home. For perspective, read this previous article of mine on mortgage rate history. Minneapolis, MN: Mortgage interest rates have been near historic lows for a long time. Home buyers have fallen into a feeling that low mortgage rates are normal. That attitude changed a bit recently as mortgage rates jumped up to the highest level in over a year. The slight up-tick in rates has caused many potential buyers to jump off the fence, and act now before interest rates go any higher. So why are rates moving higher? It is complicated, as there are many factors, but the simplest explanation is that the economy is slowly getting better. Simply put, rates may be slowly starting to return to where the market should be if supporting itself, and not being propped up by the Fed. Minneapolis, MN: Mortgage rates finally made a break from a narrow range that’s persisted since April 15th. They’d edged up to the top of that range by Thursday, but then made their first authoritative move lower to end the week at the best levels of 2013.